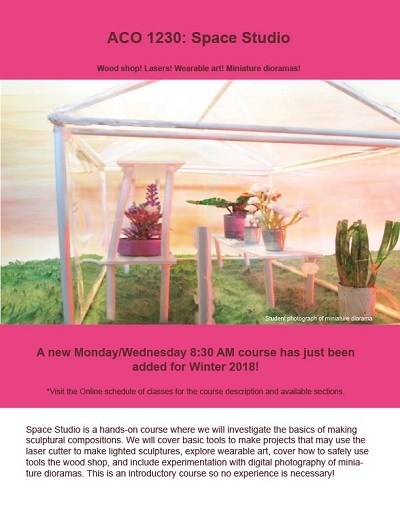 Sign up for ACO 1230 Space Studio! Wood shop! Lasers! Wearable art! Miniature dioramas! Core studio for visual communication in a spectrum of three-dimensional media and composition in the built environment. Explorations include elements and principles of design, basic digital techniques, material handling, shop experience, and creative problem solving. Visit classschedule.wayne.edu to register.